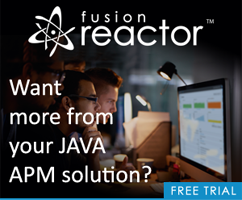 Reprint: What in the heck is JSONP and why would you use it? Have you ever looked at some technology, or framework, and simply didn't understand why someone would use it? For some time now I've never quite gotten what JSONP is, nor why someone would use it over XML. Everything finally cleared up for me last week and since I assume (I hope!) I'm not alone in being confused, I thought I'd share what I learned. This simple example will fail immediately with this error: Access to restricted URI denied. None of this should be new to us (although I do get asked about this every few weeks). The normal way around this is to build a proxy on your own server. So the Ajax code would hit some URL on your own domain. Server side code (like ColdFusion) handles making the remote call and then returns the results to the front end Ajax code. This works well, although it does end taking a bit longer due to the extra stops along the way. I intentionally chose Yahoo's search api for my example above since Yahoo was the first provider I noticed supporting JSON/P. At the time I had assumed it simply helped support their JSON format results. I didn't quite get what else it would provide. I figured Yahoo was simply providing JSON as an alternative to XML for data size reasons (JSON can be a lot slimmer) and that people were using it along with the "proxy" setup I just described. So with that being possible (and with the way browsers are updated this little backdoor probably won't ever be shut) you can now dynamically request dat from another server. But how do you actually work with the data? Normally script tags like the one above load a library of code into your browser. They aren't just used to load data by itself. Another problem is handling the data. If my intent was to request Yahoo search data and present it within my own UI, I'd need to be able to make the request as well as handle the result manually. This is where the whole 'with Padding' thing comes to play. An API that supports JSONP will return not only the pure JSON data you want, but will also wrap it in a function call. So in English, I can tell Yahoo: "Please return search results for 'finances'. I want the data in JSON format and I want you to wrap it in a call to a function called handleIt that I've defined below." I built a simple form and tied it my search function. I had created a base URL for Yahoo so that all I need to do is append the current search term from the from. After that I added callback=?. Again - this tips off jQuery that it needs to treat the request like JSONP. I can then supply an inline function to handle the results. I won't go into detail about the code there as it is mostly HTML handling, but I think you get the idea. Interesting technique - but would I use it? First, you can only use it with APIs that support JSONP (anyone have a good list of them?). Secondly, even if an API does support JSONP, you may still prefer the proxy support for a few reasons. First, it may be easier to massage the results on the server side. You may want to filter, for example, the search results to items that match with certain products in your database. That could be done with further Ajax calls, but it may be simpler to just do one call to your server and let it do all the handiwork. Using a proxy also makes it a bit easier to handle errors. Again, you could do that client side, but you may want to revert to server side cached results in the case where Yahoo fails to respond. I'd love to hear from people using this in production!